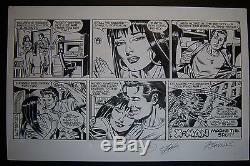 Original Alex Saviuk Artwork featuring Mary Jane, Peter Parker & Doctor Octopus. 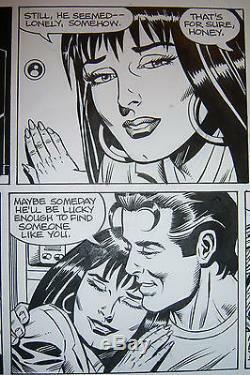 This is the one of a kind original artwork for the Sunday Spider-Man Strip for 7-26-09. 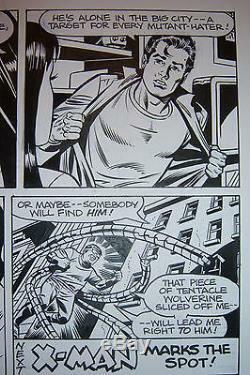 The Strip was written by Stan Lee, pencilled by Alex Saviuk, and inked by Joe Sinnott. 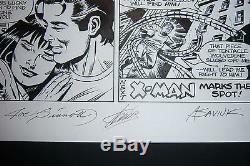 All 3 of these Marvel Comics Legends have signed this artwork. 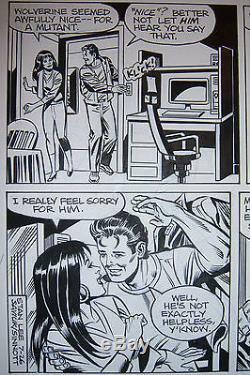 In this story line Mary Jane hopes that Wolverine finds someone like her, as Peter did, because she senses he's lonely. Is hot on the Wolverine's trail. Alex is mostly known for his work on many issues in the Spider-Man books and Sunday Strips, but he also did work at DC on Green Lantern, Superman, Flash, and Action Comics with Atom and Aquaman. 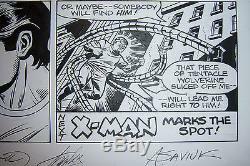 The item "Original Art ALEX SAVIUK Art Spider-Man Sunday pg. 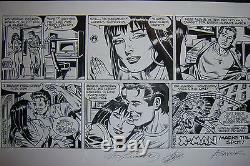 Signed STAN LEE & JOE SINNOTT" is in sale since Monday, March 19, 2012. This item is in the category "Art\Art Drawings". The seller is "colbystreetartandantiques" and is located in Whitehall, Michigan. This item can be shipped worldwide.